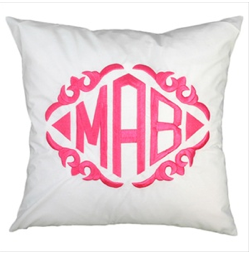 fantastic pillow – love the pink monogram! Brandon and I have puppy fever. How precious is this little pup? Hope you all had happy weekends. After shooting engagement photos on Friday, Brandon and I headed south to see our parents for the weekend. Mom and I attended a bridal shower in Beaufort and got to see a lot of great friends. Throughout the rest of the weekend, there was a lot of rest and relaxation (oh, and eating!) with the fam. Our time there passed by too quickly, for sure. Sigh… Onward! Ohh love that pillow too! I adore your style! boy does that pizza look good too! Are you on Instagram?? Love your dress 🙂 Your peach cobbler looks wonderful! I am the same way about that black mask, uhh what a hassle it is! Can't wait to see engagement photos, they will be beautiful! Kate Hudson and Rachel McAdams are very lovely indeed! I love the lady in the robe picture too! I love the monogrammed pillow and your dress!! I love the pillow and the dress! Your bedroom looks so pretty too! I will have to try that pizza place out! Love your dress! 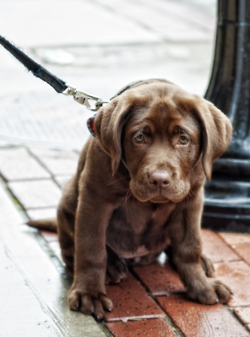 And am dying over that puppy! Sounds like you had a lovely weekend. Your dress is adorable!!! So feminine and perfect for summer. I have that black mask and I love it too!!!! !